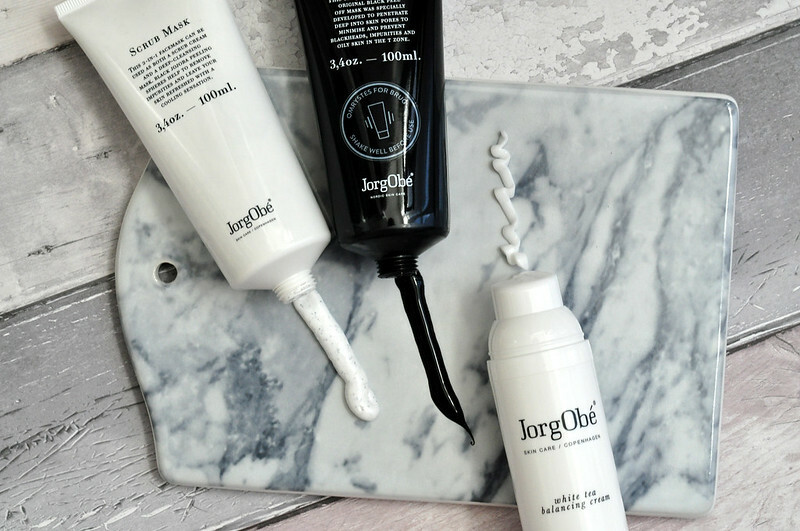 JorgObé was an unheard of brand to me before these three skin care products arrived in the post. It's a Danish brand that has just recently launched in the UK. There is something quite familiar about the two face masks and I feel like I've seen them on someone's blog before but I have no idea whose and it would have been a year or two ago. I originally thought it might have been on Esteé's blog since she's a fan of all things Scandinavian but after a quick search of her blog I couldn't find anything. I like it when brands only have one or two products per category as I feel like they're able to focus solely on creating an amazing product. Liz Earle is another good example, they only sell one cleanser and it is one of my favourites. Now lets move onto the packaging, I couldn't have designed it better myself. I feel like if I was creating a skin care line this is what I'd go for as well. Simple and to the point but well made. The packaging isn't going to fall apart after the first use. Ahem, Emma Hardie cleansing balm I'm looking at you. It's the little details that are important and I love how the cardboard packaging of the two masks reflect the actual product. The peel off mask is black and so is the packaging. The packaging of the scrub mask is black polka dots and the actual scrub particles are black in a white cream, you can sort of see this in the above photo. Scrub Mask* | £21 // This is a two in one product, not only is it a scrub but it also doubles up as a face mask if you apply a thicker layer and leave on for ten minutes. 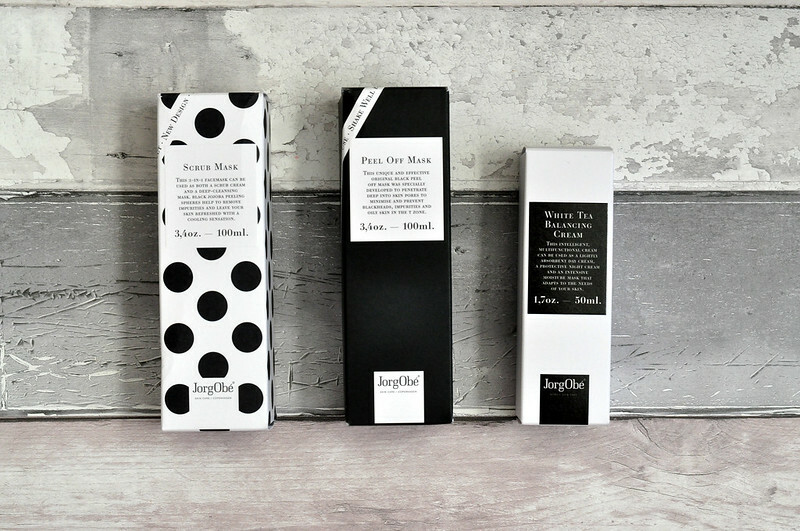 Salicylic acid and jojoba beads exfoliate the skin while the shea butter and apircot oil hydrates the skin. I tend to amp up exfoliation in winter and this is when I reach for manual exfoliators like this one. During the rest of the year, on a daily basis, I can get away with only using a muslin cloth and acid exfoliators. Unlike some facial scrubs, this doesn't feel too abrasive or harsh, and this is coming from someone who has extremely sensitive skin, but it's just enough to feel like it's working. 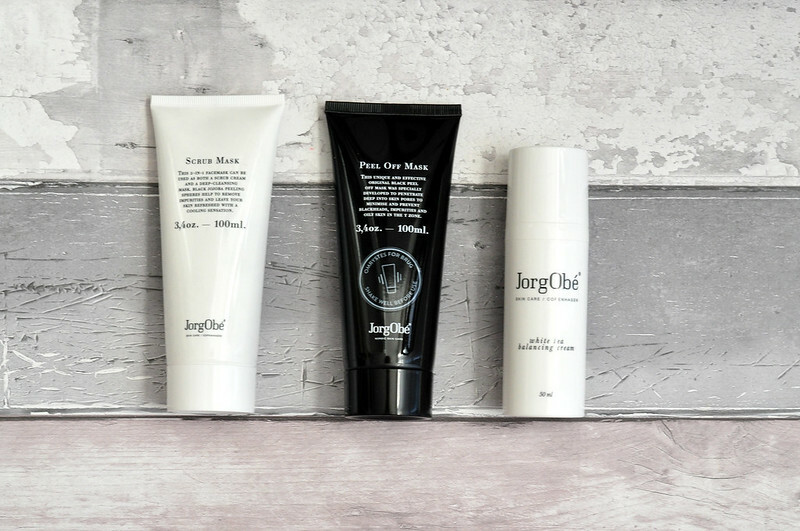 Peel Off Mask* | £21 // Out of the three, this is the one product I was most excited about trying. Surely I'm not the only one who has applied pva glue to my hand as a kid, left it to dry and then peeled it off?? This mask is exactly that but it's obviously benefiting your skin a lot more than glue would. You apply an even layer, I find an old foundation brush works best, to your face and then you leave it on for thirty minutes until it's completely dry. The fun then begins and you can start peeling it off! There might be some bits of mask left after you peel it off, especially around the edges, so I just take a damp flannel and buff it away. Since I do have sensitive skin, when applying this I avoid my cheeks and tend to only apply it to my t-zone which gets quite congested. By using this once a week, usually on a Sunday, I've noticed my skin especially my nose and chin look a lot clearer and I have less blackheads. . There are some interesting ingredients in this mask such as black kaolin clay to absorb excess sebum, witch hazel, echinacea which prevents infections and dragon’s blood, the sap from the Croton Lechleri tree, which has a cleansing effect and calms stressed and sensitive skin. White Tea Balance Cream* | £18 // The other two I wanted to test out straight away but this cream, despite reading good reviews, I just wasn't as excited about. I have a love-hate relationship with facial moisturisers so this is probably why. I know I need to use one as I have very dry eczema prone skin but either they're not moisturising enough or are too thick and I break out. Luckily though, so far, this moisturiser hasn’t broken me out and feels quite light on my skin. It keeps my dry patches moisturised but is one I only use in the mornings at the moment. As my eczema has been flaring up recently I’m using a different cream to target it at night. Once my skin calms down I’ll start using it at night as well. The pump means I’m able to control how much product I’m using at a time so nothing goes to waste. My only negative about this moisturiser is that it contains perfume which I know irritates my skin and although it hasn’t so far, it does mean I probably wouldn't buy it myself once it's empty. It is a nice scent but if you know perfume irritates your skin then it might be one to skip.